Our little rag is growing up! You may have noticed we've changed the name of our montly on-line publication from "The JavaRanch Newsletter" to "The JavaRanch Journal". Since its inception almost two years ago, the talented authors behind this publication have contributed many informative articles creating a trove of knowledge read by many developers. We felt this collection of articles had begun to outgrow the publication's original name, and a new name was warranted. Over the next few days and coming weeks, you might notice some changes as we spiff up the place and clean out those cobwebs of url patterns referencing "newsletter" to make some space for many more excellent articles to come. We'd like any feedback on the JavaRanch Journal you might have. Love something? Hate something? Have an article to contribute? If you've anything to share, send me a note at dirk@javaranch.com. I hope to hear from you. Discuss this article in The Big Moose Saloon! In early 2001, while working with Martin Fowler in reviewing the patterns in what would become his book Patterns of Enterprise Application Architecture, the two of us began searching for patterns describing asynchronous messaging. At the time, we thought that this might become a section within PoEAA, but we quickly realized that the subject was far too broad to fit within the context of that book.? Martin and I then began hosting a series of pattern-mining meetings, including Booby Woolf and Gregor Hohpe, which eventually led to their book, Patterns of Enterprise Integration: Designing, Building and Deploying Messaging Solutions.? That book describes a rich and robust pattern language for working with asynchronous messaging, web services, and enterprise application integration tools.? However, as the group started work in earnest on that project, we found that there were a few patterns that simply did not fit into the rest of the pattern language.? By far the most well-known of these and the one for which we had the most examples, was the Distributed Cache Pattern.? Even thought it didn?t fit into the Patterns of Enterprise Integration catalog, it?s still an interesting and useful pattern that should be part of the advanced J2EE designer?s toolbox.? For those of you who are completely unfamiliar with Patterns literature, you may want to first take a look at either of two books referenced above, or Design Patterns: Elements of Reusable Object-Oriented Software, in order to see what to expect from patterns and pattern languages.?? In brief, a pattern is a reusable software asset in its most abstract form ? a pattern is a description of a solution for a common problem that has been applied in a standard way a number of times.? The particular style of pattern that we will use (which is the same one used in Patterns of Enterprise Integration) was originally developed by Kent Beck in his book Smalltalk Best Practices Patterns.? It expresses the problem that the pattern solves in highlighted text, and then, after a discussion of what makes the problem challenging, provides the solution in highlighted, italic text, followed by more details on the solution.?? So now that you?ve seen how the pattern came about, and how it will be presented, it?s time to move on to discussing the pattern. Your application is distributed over several physical machines for scalability.? It uses a database for object persistence, but many of the queries to the database take a long time to execute due to the complexity of the queries.? My database queries cannot be further optimized, so it is impossible to gain more speed through database tuning approaches.? You would like to cache my data on each machine; however, you cannot cache all of your data locally since the data does change, and the values in each cache will begin to differ from the database and each other over time.? How can you connect a set of distributed caches such that updates are propagated across the caches and the same values can be returned from queries on any of the caches? Many systems are designed with a set of data caches to improve performance.? For instance, in a system built using Enterprise Java Beans (EJBs) you may use Entity Bean Option A caching [EJB], or we keep value objects in memory in a singleton [Brown].? 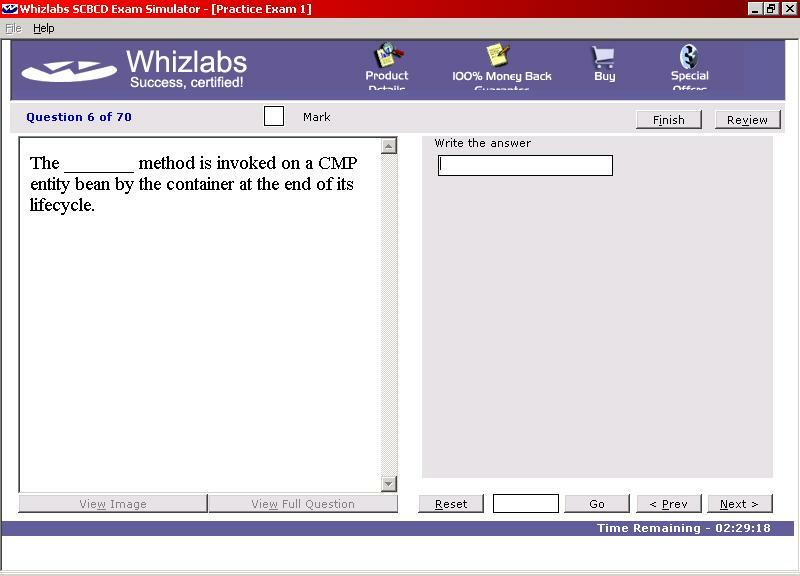 However, each of these options have the same drawback; for instance, in Option A Caching, once a CMP EJB is read from the database, the values held in memory do not change, even though the corresponding values in the underlying database may change. Most distributed HttpSession schemes also are a type of distributed data cache. The similarity of each of these approaches has led to the recommendation of a specific API for caching, the JCache API, as JSR-107 [JCache].?? Unfortunately, the cache is not the ?system of record? for most of this information. In almost all cases, the ultimate place where data is stored is in a database, thus creating a situation where the information in the database and the information in an in-memory cache can drift out of synchronization.? When the database is updated by one machine, if a query is run against the (older) data in the cache on another machine it will return the wrong value. Some systems have been built such that the database itself is responsible for updating the set of distributed caches.? These systems use database triggers to force the update of each cache.? The problem with this approach is that it is not standards-based and thus is not portable.? Thus a system built using Oracle database triggers will not work if the database is changed to DB2 or SQL Server.? Also, not every database (for instance some of the open-source databases like MySQL) supports advanced database features like triggers. Propagate cache updates using Publish-Subscribe messaging such that whenever a change is made to an object in one cache, that server will to notify all other caches that the object has been changed. If a cache receives a notification it can choose to refresh its values from the database (shared) version at notification time, or it may simply mark it as "dirty" and read it back from the database whenever anyone asks for it. The structure of these solutions is shown below (Figure 1: Distributed Cache Update).? ?Another option would be to update the cache from the message. However, this is not as desirable as reading from the DB since it would require object hydration from a message instead of from the database; this both complicates the messaging code, and also increases the amount of message traffic in the system as a whole since the entire object, rather than a notification, must be sent in the queue.? It is important to keep the granularity of the cache high such that the total number of messages flying across the messaging system is kept to a minimum.? In many cases, this can be achieved by sending out only notifications about the "root" object of an object graph whenever any part of the graph changes. Within a transaction you hold off notification until all updates complete so that we can remove redundant messages.? Likewise, it is desirable to have the ?put? onto the queue be part of the same transaction as the update to the database (e.g., make the cache a Transactional Client) so that the state of the database does not diverge from the known state of the caches (Figure 1 shows the database update and the message being part of the same transactional context, labeled ?Transaction Context 1?). You can reduce the amount of unnecessary processing that each cache must perform in handling update messages for objects it does not contain by introducing multiple topics (one for each "root" type).? The cache could use Message Selectors to filter out notifications about objects they are not interested in, but that does not reduce the total number of messages that are placed on the topic ? it only reduces the amount of processing each client will perform. It is also crucial that this solution only be used in cases where it is not crucial that all caches remain perfectly synchronized at all times.? This is because the solution necessitates the use of at least two transactions; one on the ?notifying? cache side, and another for each of the ?notified? caches. This is shown in Figure 1 where the receiving end (Server N) is shown to be executing in a separate transactional context from the original transactional context. ?Thus, there can be a period of time while updating is occurring in which queries to one of the outlying caches can return stale data.? There is also the possibility of undeliverable messages, incorrect update processing, and other situations that can render this solution less than 100% reliable. However, in most applications, so long as all final decisions depend solely upon the state of the database of record the unreliability of this solution can be tolerated. 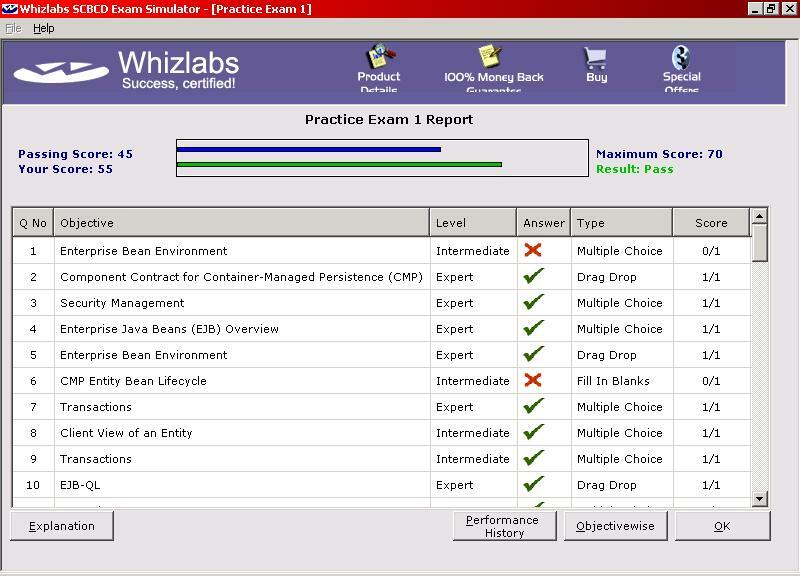 This approach has been used successfully in commercial Java application server implementations.? For instance, IBM WebSphere Application Server 5.0 uses this approach in synchronizing its HttpSession, Dynamic page, and Command caches through a common set of internal WebSphere frameworks. ?Likewise, this is a feature of WebLogic Application Server 6.1. SpiritSoft sells a product called SpiritCache [SpiritSoft] that implements a JSR 107-compatible cache using this pattern that will work with many application servers.? Likewise, Tangosol sells a product set named Coherence that also implements this pattern.? Finally, a specific implementation of this pattern restricted to EJB Entity Bean caching has been previously documented in [Rakatine] as the Seppuku pattern. The Web: Not Ready for Prime Time? The Web:?Not Ready for Prime Time? Jeff Johnson, author of Web Bloopers. The dot-com crash of 1999?2000 was a wake-up call.? It told us the Web has far to go before achieving the level of acceptance predicted for it in 1995.? A large part of what is missing is quality.? Put bluntly, the Web has not attained commercial quality ? the level of quality consumers expect from products and services. A primary component of the missing quality is usability. The Web is not nearly as easy to use as it needs to be for the average person to rely on it for everyday information, communication, commerce, and entertainment. As an example of poor quality and low usability, look at a Search results page from WebAdTech.com, an e-commerce site (Figure 1). Figure 1. www.WebAdTech.com (Dec. 2000)?No page identification; poorly written error message hard to spot amid ads; unhelpful website search box.
? Where am I? Neither the site we are in nor the page we are on is identified.
? Where are my Search results? The page is so full of ads, it is hard to spot the actual search results.
? Huh? The message shown for null search results is written in such abysmal English (not to mention inappropriate capitalization), it is hard to understand.
? What now? The remedy offered for not finding anything is a box for searching the entire Web. Not surprisingly, WebAdTech was one of the casualties of the dot-com crash; it is gone.? However, many sites with? significant usability problems remain.? 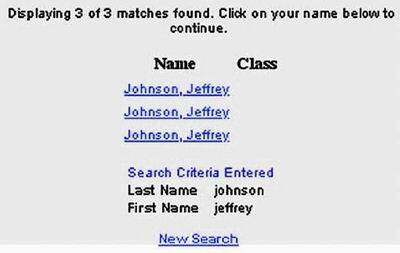 For example, searching for my name at the Yale Alumni website yields three Jeff Johnsons, with no other identifying information (Figure 2). The only way to find the right one is by clicking on them. Figure 2. www.aya.yale.edu (June 2002)?Found items all the same. There is also the site map at a Canadian government site that seems to have been designed based on the game of bingo (Figure 3). Not very useful, eh? Figure 3. www.cio-dpi.gc.ca (Dec. 2000)?Cryptic site map.
? The auto company site that pops up ?Method Not Allowed. An error has occurred.? when visitors do things in the wrong order.
? The state unemployment form that won?t accept former employer names like ?AT&T? and ?Excite@Home? because of ?non-alphanumeric? characters.
? The intranet Web-based application that displays large buttons but ignores clicks that aren?t on the buttons? small text label.
? The computer equipment company site that contradicts itself about whether its products work with Macintoshes.
? The airline website that can?t remember from one page to the next the time of day you want to fly.
? The bus company site that, failing to recognize a customer?s departure or arrival city, substitutes the one in its list that is nearest?alphabetically! Unfortunately, the examples are endless. The Web is teeming with bloopers. Others agree that the Web is sorely lacking in usability.? One author provides a blow-by-blow account of the frustrating experience he had trying to buy a wrench over the Web (Casaday 2001). Unfortunately, his experience elicits sympathetic grimaces from anyone who has shopped on the Web. More systematic surveys have found the same sad truth.? A recent survey of 2000 Web shoppers found that approximately half of the people surveyed were ?neutral to very disappointed? with the websites they used (Rubin 2002). A Forrester report issued in April 2002 argued that the Web represents a large step backward in usability from desktop software (Souza 2002). The bottom line is that for the general population, the Web is low in quality, confusing, aggravating, and insufficiently useful.? Poor usability is a big part of the problem.? To achieve its potential, the Web?s usability must be improved. To better understand why the Web has not yet attained consumer-level quality, it is useful to review where it came from and how it grew. The World Wide Web was created in 1990 by Tim Berners-Lee to allow particle physicists to share information with each other over the Internet more easily. Before then, people shared information on the Internet using various programs and protocols: email, FTP, Gopher, and others. The Web standardized and unified data formats and file-transfer protocols, greatly simplifying the sharing of computer files. It defined HTML as the primary format for documents. Naturally, the first websites were created and hosted where Mr. Berners-Lee worked: the Centre European Research Nuclear (CERN) particle-accelerator facility in Geneva, Switzerland. To access the Web, a Web browser is required. Tim Berners-Lee wrote the first browser and released it to the physics research community when he announced the World Wide Web.? This first browser worked only on the NeXT computer.? Like today?s browsers, it displayed ?rich? text?bold, italics, fonts?formatted in HTML, and it displayed links as clickable underlined text. However, it displayed only text. Images, type-in fields, and other controls, if required by a website, had to be displayed in separate windows, using specialized browser plug-ins and protocols. Because many early Web users did not have NeXT computers, other browsers were soon written. For example, many physicists in the early 1990s used a text-only ?line-mode? browser that ran on most Unix computers. This ?line-mode? browser was not at all graphical: It displayed only plain text and showed links as bracketed numbers next to the linked text (e.g., ?black hole ?). To follow a link, you typed its number, as in many character-based library catalog systems. The first U.S. website was put up in 1991 by Paul Kunz at the Stanford Linear Accelerator in northern California (Figure 4). The main information available on the Web in those early days was physics experiment data, an index of physics papers, and address directories of physicists. After 3 years of obscurity, the Web took off in 1994, when the National Center for Supercomputing Applications (NCSA) at the University of Illinois released Mosaic.? 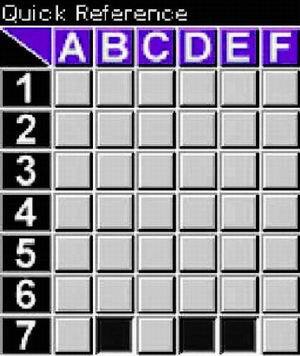 Developed mainly by students, Mosaic was a graphical ?point-and-click? Web browser, available for free. Unlike the NeXT browser, Mosaic could display images. Immediately, people in technical professions began creating websites, for both work and pleasure. They were soon followed by a few pioneering online businesses. The Web began growing exponentially: 100 sites; 1000; 10,000; 100,000; 1,000,000; and so on. By the late 1990s, the number of websites was growing so rapidly that most attempts to plot it went essentially straight up. The meteoric rise in popularity of the Web immensely broadened access to information?and misinformation.? Most relevant to this article, the rise of the Web has thrust many people into the role of user-interface designers . . . for better or worse. Furthermore, this trend will continue.? Although the dot-com crash of 2001 slowed the growth of the Web, it did not stop it. Credible estimates of the total number of websites vary tremendously?from about 15 million to 200 million?because of differences in how a ?website? is defined.? Nonetheless, Web analysts agree that whatever the number of websites is, it is still growing. Every one of those websites was designed by someone.? As Nielsen has pointed out (Nielsen, 1999a), there aren?t enough trained user-interface designers on Earth to handle the number of websites that go online each year. Thus most sites are designed by people who lack training and experience in interaction and information design and usability.? Put more bluntly: everyone and his dog is a Web designer, and almost no one has any user-interface or interaction design training. In addition to the explosion in the number of Web designers, we had the ascendancy of ?Internet time? ?extremely aggressive schedules?for Web development.? Internet time meant no time for careful analysis of the intended users and their tasks, no time for usability testing before taking the sites live, and no time for sanity checks on the? soundness of the site?s value proposition. From the late 1990s through about 2000, thousands of companies?many of them startups?developed websites and Web-based applications ?on Internet time.? Business plans were devised on Internet time, large sites were designed on Internet time, and back ends and front ends were implemented on Internet time.? Not surprisingly, most of these efforts then crashed and burned . . . on Internet time.? Lesson: Maybe ?Internet time? is not such a great idea. To paraphrase a well-known saying, those who don?t understand the Web-design bloopers of the past are condemned to repeat them? and repeat them? and repeat them.? I wanted to help Web designers get past endlessly repeating bloopers, especially those that are common and avoidable. Towards that end, I spent several years collecting and categorizing examples of Web design bloopers.? The most common ones were recently published in a book:? Web Bloopers:? 60 Common Web Design Mistakes and How to Avoid Them (Morgan Kaufmann, 2003). The book uses actual website examples to illustrate common design mistakes that frustrate and confuse people and ultimately drive them away.? Each blooper described in the book is followed by an explanation of how to avoid it. In collecting examples of bloopers, I avoided personal websites and websites of very small businesses and organizations.? Individuals and small organizations usually don?t have much money to spend on Web development, so it isn?t surprising that their sites contain bloopers.? Also, websites of individuals are often more for personal expression than anything else and so must be viewed with great tolerance. Inste?ad, I focused on larger organizations:? companies, government agencies, and non-profit orga?nizations.? All have? ?or at least should have?put significant effort and resources into designing and developing their sites. My hope is that by learning to recognize and avoid common design bloopers, we will bring the Web closer to the commercial quality necessary for acceptance by mainstream consumers. For more information about Web Bloopers, please see www.web-bloopers.com. Casaday, G. ?Online Shopping, or How I Saved a Trip to the Store and Received My Items in Just 47 Fun-filled Days?, Interactions, Nov/Dec 2001, pages 15-19. Nielsen, J. ?User Interface Directions for the Web?, Communications of the ACM, 42, 1999, pages 65-71. Paul, N. ?Labels Slowly Build Trust in the Web?, C.S. Monitor, 13 May 2002, page 18. Rubin, J. ?What Business Are You In??? The Strategic Role of Usability Professionals in the ?New Economy? World?, Usability Interface, Winter 2002, pages 4-12. Souza, R., ?The X Internet Revives UI Design,? Forrester Tech Strategy Report, April 2002, Cambridge, MA: Forrester Research, Inc. In part I of this series, we took a look at the basic idea behind the JSTL and the powerful standard actions that are provided within it. We had an overview of the functionality of the Core tag library, as well as how you can use the EL. In part II, we?ll take a look at some of the other functionality provided for us. We?ll touch base on the available standard actions contained within the JSTL in the XML, I18N, and SQL libraries. The following sections are excerpted from various sections and chapters within the ?JSTL: Practical Guide for JSP Programmers?. You can find complete details of all of the standard actions available in the JSTL, as well as a developer?s quick reference guide, provided in the book. The XML tag library brings us to actions that deal with XML manipulations. I am hard pressed to think of any application that I?ve developed in the last few years that didn?t use XML to represent the data in the web tier. XML is the data format of choice for exchanging information. Keeping this in mind, it?s relevant to discuss the number of actions that JSTL provides to help a page author deal with XML. You will find a strong similarity between the XML core actions and the actions provided in the Core tag library. But there is a difference; that being that the XML core actions use XPath for their expression language. All of the XML actions of JSTL allow a way to specify XPath expressions. This is accomplished by using the select attribute. The select attribute is always specified as a string literal that is evaluated by the XPath engine. It was decided to have a dedicated attribute for XPath expressions so as to avoid confusion. Since some of the XML actions have similar functions to the Core actions, it was important not to get the XPath expression confused with the JSTL expression language. The select attribute is shown in this simple sample where the XPath expression specifies the title to be selected from the XML document and output to the JspWriter. type of resource like an existing XML document. This is done by importing resources using the Core URL action <c:import>. The resource can then be used by such XML actions as <x:parse> and <x:transform>. For example, we can import a URL resource and then export it into a variable named xml. This variable is then used as the XML document to the parse action as shown in the sample below. XML document is that it must be parsed. Usually there is an existing document that you want to be working with. This document might be the result of some business logic that was performed in the business tier of your application. 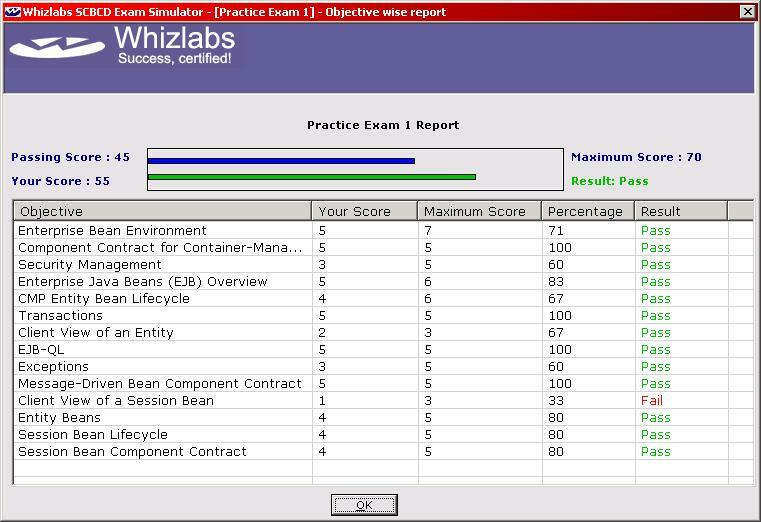 We want now to deal with it in the presentation tier so that we can display the results appropriately. Using the <x:parse> action is how we get the information from XML format into some format that can be used by XPath, and XSLT. <x:parse> takes a source XML document, parses it, and produces a scoped variable that holds the results. The variable can be defined by either using the var or varDom attribute. There are two different types of attributes because there are a number of ways to represent XML documents. JSTL provides the flexibility for the implementer of the specification to return an object of its choosing in the var attribute. The <x:parse> action is used to parse an XML document. The resulting object is then saved into a scoped variable as defined by either the var or the varDom attribute. The varDom attribute is a String that holds the name of the scoped variable. The type of the scoped variable is an org.w3c.dom.Document. The type of the var attribute depends on the implementation of the <x:parse> action, so you will need to consult the documentation for it. In the reference implementation of the JSTL, the type of the scoped variable as defined by var is also of type org.w3c.dom.Document. The <x:parse> action performs the parse on the document; it does not perform any validation against Document Type Definition files (DTDs) or Schemas. The XML document to be used for the parse can either be specified with the xml attribute, or it can be specified inline by including it the action?s body content. var and varDom can be used to set the context of an XPath expression. This is exactly what we?ll see in our <x:set> and <x:out> example when we reference the $doc in the select attribute. In the sample below, we import a document using the <c:import> action. Then we use that XML document for the parse. The results are stored in the var attribute of the parse action. We then use doc as the context for our other XML actions. If your source XML document is null or empty, a JspException will be thrown. A common way to identify the XML file is to use the parse to expose it as an imported resource. By using the <c:import> action, we access the XML file and then use the EL to pass it to the <x:parse>. This is shown in Example 1. The only difference between the two libraries, which you might have guessed by now, is the fact that the select attribute uses XPath instead of the EL when working with the <x> actions. Using XPath expressions, the XML control flow actions determine whether to process JSP code. These actions act in much the same way as the Core tag library flow control actions we already talked about, except for the utilization of XPath instead of the expression language. Therefore, to avoid redundant information, I am going to point out the differences between the XML and the Core actions (<c:if>, <c:choose>, and <c:forEach>), where appropriate. The biggest difference is that the select attribute is evaluated to a boolean expression according to the semantics of the XPath boolean() function. Otherwise, everything that you?ve already learned applies to the control flow actions can be applied here as well. You?ll notice that before you do any type of control flow, you always have to have a document available. This means that you always have to do an <x:parse> on the document so that it can be accessed through a variable. The XML actions play an important role in today?s web applications. Since XML is omnipresent, dealing with XML documents becomes much easier with the actions provided in the XML tag library. Using the XML actions, it?s possible to do all sorts of data comparison, iteration, and transformations using XSLT. All of these actions should make your page authoring that much easier. In order to make the best use of the XML actions, it is important to have a firm understanding of XPath and XSL at the very least. More than likely, the application you are developing today will have to be internationalized tomorrow. Wouldn?t it be great if the effort required to internationalize your application could be reduced to zero? Well okay, that might be too optimistic to hope for since anyone who has developed applications for international use knows there is always something that needs to be tweaked. Luckily, the internationalization and formatting actions provided in the JSTL are a comprehensive set of actions that can be used to minimize the headaches of having to internationalize your application. These actions come under the functionality of the I18N umbrella. I18N, which refers to the 18 letters between the I and the N in internationalization, is a common acronym used when talking about internationalization features. It is also common to use the term L10N, for localization. In this chapter, we?ll explore these internationalization actions. All of the actions related to I18N are contained in the custom tag library with the URI http://java.sun.com/jstl/fmt and are frequently accessed by using the fmt prefix x. To address both of these functional areas, let?s first take a cursory look at what pieces are involved in creating international applications. Then we?ll look at how these pieces can be put to work using the various actions available in the JSTL. In this example, we would be accessing a variable already set, called userNameString , that would then be used as a parameter to the message. If we were accessing the English version of the resource bundle,Welcome Sue would appear in the JspWriter . Author Note: Chapter 6 of the JSTL: Practical Guide -? Working with the Internationalization and Formatting Actions - continues by going into great detail on how to work with Locales, resource bundles, and all of the I18N standard actions. Controller (MVC) architecture, which is the predominant design pattern used in building web applications today, you definitely want to keep your model information in your business logic. This means that you don ?t want it in your JSPs. Why then are these actions even provided in the JSTL? Good question and one that I?ve discussed with various members of the JSR-53 expert group. The reason is the ?C? or community in the Java Community Process (JCP). The community has asked for it, the community has gotten it. Many feel that for prototyping, small-scale,and/or very simple applications, or if you just don?t have the engineering staff to implement a full MVC model, then the SQL actions might prove useful. While I can (barely) see the point being made for use of the SQL actions for prototyping or small-scale applications, I can?t ever validate the argument that you just don?t have the time to implement an MVC model correctly. If that is the one and only reason why you are choosing to use the SQL actions, then I suggest that you investigate using such frameworks as Struts which is part of the Jakarta projects and can be found at http://jakarta.apache.org/struts/index.html . Struts is an MVC framework that can be learned quickly and will provide a much cleaner architecture than having Model information located throughout your JSPs. For a complete discussion on Struts 1.1 along with a full sample application, refer to The Struts Framework: Practical Guide for Java Programmers. If you are careful about how you code your SQL actions, it should be easy enough to pull out the code and put it into classes that represent the Model interaction at a later point. I am not going to go into the various design patterns that can be applied for doing business or integration tier access. But if you consider using the SQL actions in your application, it would be wise at least to familiarize yourself with such common patterns as Transfer Objects, JDBC for Reading, Data Transfer Object (DTO) Factory, Data Transfer Hashmap,and Data Transfer Rowset. Doing so may help you avoid embedding the business logic/data access into your JSPs so deeply that you are left with a tangled mess. With that said, I don?t consider it an architectural flaw to have the SQL actions included in the JSTL. However, I do consider it an architectural flaw to use them in your application development. It is up to the page author and application architect to make sure that the design patterns are being adhered to correctly, if not for the maintenance issue of the application then for the practice of good engineering. However, since these actions are included in the JSTL, I must make sure you understand them and their features so that you can make an informed decision. What all of the SQL actions have in common is that they work against a specific data source.
? <sql:param>for setting parameter markers (???) used in SQL statements. or as the javax.servlet.jsp.jstl.sql.dataSource data source configuration variable. The data source may be specified by using the dataSource attribute. This can be specified as a DataSource object, as a Java Naming and Directory Interface (JNDI) relative path, or using a JDBC parameters string. If you don?t want to use the dataSource attribute, it is also possible to specify the data source by using the four JDBC parameter attributes. All four of the parameters are just String types. These attributes are driver, url, user, and password. Using the JDBC attributes is just an easier way to configure the data source than specifying the values in the string syntax for the dataSource attribute. In Example 2 we see how to specify a data source using the JDBC parameters. We are making this data source available as an exported variable called datasource. This can then be used by other actions if they want to use this particular data source, as shown by the <sql:query> action. No mystery here, the <sql:query> action is used to query a database. There are a number of attributes that are used with this action. It is possible to specify a data source by using the dataSource attribute. If present, it will override the default data source. If the dataSource is null, then a JspException is thrown. If a dataSource is specified, then the <sql:query> action must be specified inside of a <sql:transaction> action. We won?t go into details about the <sql:transaction> in this article, but you can find out the details in chapter 7 of the JSTL: Practical Guide. A single result set is returned from a query. If the query produces no results, an empty Result object (of size zero) is returned. This would be the case for a SQL statement that contained an INSERT, DELETE, UPDATE, or any SQL statement that returns nothing such as a SQL DDL statement. Returning an object of size zero is consistent with the way return values are handled by the executeUpdate() method of the JDBC Statement class. This result set contains rows of data if there are results. The data is then stored in a scoped variable that is defined by the var and scope attributes. The default scope is page. Obviously, there must be a way to specify the SQL query to be used. 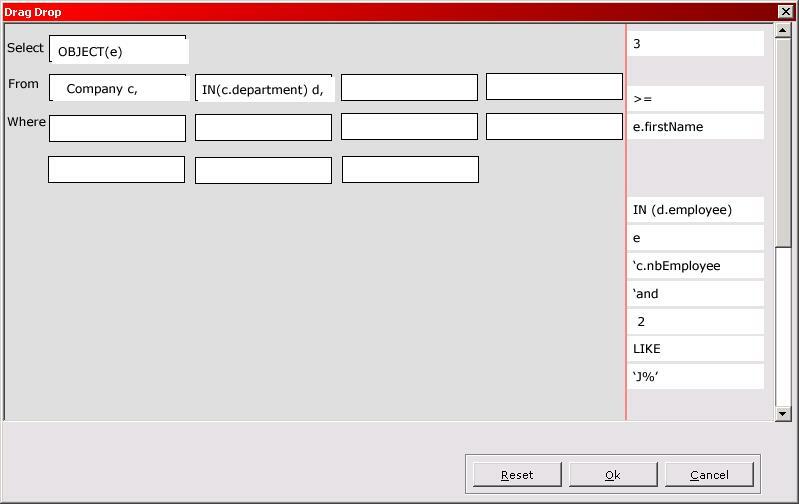 This can be done by using the sql attribute, or by including the SQL statement in the action?s body content. The code in Example 3 and that in Example 4 do exactly the same thing. <sql:query sql="SELECT * FROM books WHERE title = ?JSTL? ORDER BY author"
At this point, you should have a full appreciation for the power that the JSTL can provide. By reading both of the excerpt articles, hopefully you have seen that this is just the tip of the iceberg. There are so many projects out there that have JSP code that can utilize the JSTL; a great place to start is just refactoring some of the pages you might already have. You?ll see how easy and efficient it is using the JSTL compared to debugging through scriptlet code that might be scattered throughout the pages. I hope that the JSTL: Practical Guide for JSP Programmers helps you get a head start on everything you need to know about the JSTL to get rolling. Copyright © 2003 Pankaj Kumar. All Rights Reserved. This article is the second and the last one in a series of two, describing use of SSH tunnel for securing RMI based Java applications. The first part discussed the steps to setup SSH tunnel for lookup of remote references registered in a RMI registry and method invocations on "unicast" servers -- a special class of remote objects that require the host JVM to be up and running at the time of the invocation. In this part, we will go over a number of other issues that need attention in a tunneled environment: callback methods, automatic download of code by the RMI system, activatable servers, and corporate firewalls. As we will see, SSH tunneling provides a much more elegant solution to the problem of securely traversing the corporate firewalls than traditional ones based on forwarding RMI calls over HTTP to a CGI program or a Servlet. As covered in the first part, a RMI client invokes methods on a remote object through remote stubs. The remote stub contains information, such as the hostname or the IP address of the host machine and the port at which the RMI system listens for incoming connections, that allows it to communicate with the corresponding remote object. By default, the RMI system randomly allocates a free port to the remote object at the time of instantiation. Howerver, it is possible to specify a fixed port number programmatically by using a specific constructor. I also noted (errorneously, as it turns out) that it was not possible to specify the IP address of the machine in a similar manner. SSH tunneling works by requiring the remote stub to communicate with SSH client program ssh on the local machine. This is achieved easily and transparently if the hostname field of the remote stub is set to "localhost" or "127.0.0.1", and not the hostname or IP address of the machine hosting the remote object. I managed to accomplish this in the first part of the series by actually modifying the DNS entry for the host machine so that resolving the hostname on the server machine always returned "127.0.0.1". This is not elegant at all. Fortunately, there exists a simpler mechanism to accomplish the same objective -- by setting the system property java.rmi.server.hostname to "localhost" or "127.0.0.1" for the JVM that instantiates the remote object. To illustrate this, let us go over the main steps to run the example covered in the previous article. But before that, let recall our setup from the previous article -- a RedHat Linux box (hostname: vishnu) acts as the server machine and a W2K box acts as the client machine. Actually, any of these can run the server or client program of our example. The distinction of the server and client is only for the SSH. Only the Linux box runs the SSH daemon program sshd. The source code available with this part includes examples covered in the first part as well as those that we will use in this part. To better organize the source files for all the examples, I have made some changes in the name of files and organization of source code. Please refere to the Appendix A for details about the source files and their purpose. EchoServer bound at port 9000 in rmiregistry. This command runs the ssh program in verbose mode, ready to display a lot of information on the use of the established tunnel. Keep in mind that this mode is helpful only during initial setup and troubleshooting and is not appropriate for production environment. The screen output indicates successful invocation of the RMI method. If you look at the window running the ssh program, you will see that all the communication has taken place through the tunnel. RMI allows remote objects to be passed to a server program by the client program and lets the server invoke methods on this object. For the SSH tunnel, this essentially means allowing connections to the client machine originating from the server machine through the tunnel. One way to accomplish this is to have the SSH daemon sshd running on the client machine and establish a reverse tunnel from the server machine by launching ssh program there. Another, less onerous way, is to setup the tunnel with reverse port forwarding. This is accomplished by passing -R<local_port>:localhost:<remote_port> as argument to the ssh program. With this setup, all the connections to the <remote_port> on the server machine are forwarded to the <local_port> on the client machine. Let us see this setup in action by running the server program on the W2K box and the client program on the Linux box. As earlier, the SSH tunnel is established by running the ssh program on the W2K machine. In fact, it is also possible to include additional ports, for either straight or reverse forwarding, in the same tunnel! So far, we have managed without setting up our server and client program to do any automatic code download by keeping the stub classes in the CLASSPATH of the client. However, this is not always feasible, or desirable. In such scenarios, RMI allows automatic code download. The server program sets the location of the downloadable code, which can be a file, http or ftp URL, by setting the system property java.rmi.server.codebase and the client RMI system downloads the code. Use of a http URL is quite common for the server program to make its code available to the clients. Of course, this allows anyone to download the code, something which may not be desirable in high security applications. SSH tunneling can handle this easily by extending the tunnel for all the code download traffic and restricting the download to only those machines that have been included in the trusted network. One way to do this is to place the downloadable code in an appropriate sub-directory of the HTTP server running on the server machine but allow only programs running on this machine to access the HTTP server (this can easily be accomplished by use of iptables, as illustrated in the first part of this series). Pay attention to the URL specified as the value of system property java.rmi.server.codebase. It assumes that the stub classes can be found in the classes sub-directory of the root directory of the HTTP server and the HTTP server is listening for HTTP requests on port 8080. Also note that the URL has localhost and not the hostname of the server machine. This is important for SSH tunneling of code download requests. The command to setup the SSH tunnel is almost the same, the only different being the fact that now port 8080 is also being forwarded. Finally, run the client program with appropriate system properties for security manager and security policy file. So far, we have dealt only with "unicast" servers -- a class of remote objects that require the host JVM to be up and running for the client to invoke methods on them. In a general case, the remote object could be activated by the RMI system, i.e., the rmid daemon program, on demand. This case is also handled by the SSH tunneling, though the mechanism to specify the hostname for the remote stub is somewhat different. The hostname now must be specified as an argument to the rmid program so that it can pass this value to the remote object at the time of activation. This case demands different source code for the remote object implementation class and the program that registers the remote object with the RMI system. These sources can be found in files server\EchoServerImpl3.java and server\Main3.java. We will not describe the source files in details here as thry are not directly relevant for SSH tunneling. The rmid daemon includes a RMI registry. This registry is accessible to other programs in the same manner as the registry of the rmiregistry program, with the only difference that by default, rmid listens at port 1098, and not 1099. This fact must be accounted for while setting up the SSH tunnel. The other difference is that both the rmid and the program that registers a remote object must run with the Java security manager enabled and an appropriate security policy file must be specified. For simplicity, we will use policy file allperms.policy that we used in the previous section. Here, the -C option directs the rmid to pass the option value to the JVM that it launches to run the remote object after activation. Next, run the program that registers the remote object with the RMI system. 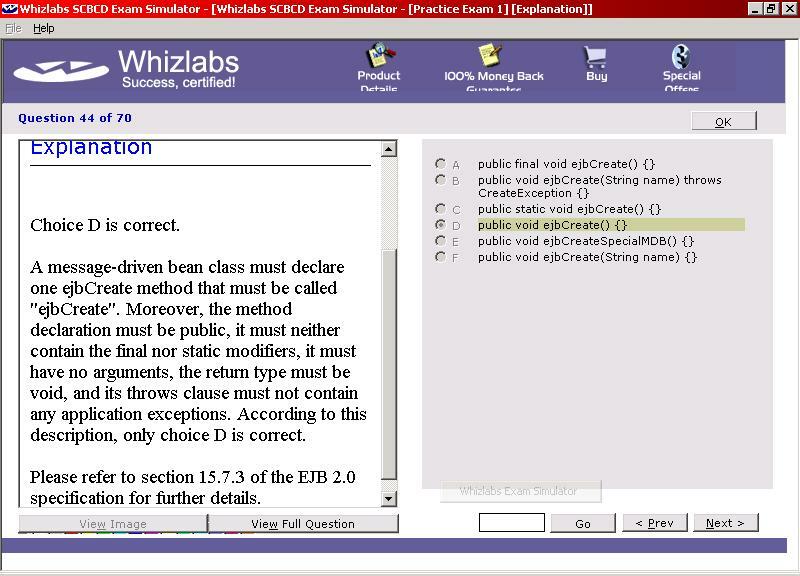 Note that this program, unlike the previous server.Main2, exits after registration with the RMI system. Now, setup the SSH tunnel at the W2K box. Notice that we are using port 1098, and not 1099. Notice that we are using port 1098, and not 1099, as explained earlier. Finally, run the client program. C:\rmi-ssh>java -cp . client.Main "localhost:1098"
Note that here also, we have specified 1098 as the port for RMI registry lookup. There are occassions when we want some portions of a distributed program to be inside a corporate firewall. Such firewalls typically disallow incoming connections but allow outgoing connections through a web proxy or (now less often) SOCKS proxy. RMI Specification includes a mechanism to tunnel RMI messages over HTTP as a limited mechanism to allow clients behind firewalls to invoke methods on remote objects outside the firewall. However, this approach has many disadvantages: (i) it doesn't work when the server is behind a firewall; (ii) it doesn't handle client side callbacks; (iii) it is not secure. SSH tunneling provides a much more elegant solution to this problem through its proxy command. You can configure ssh to use HTTP or SOCKS proxy by placing host specific entries in the configuration file ~/.ssh/config, as explained at the homepage of connect.c, a freely available program to be used in the SSH proxy command. Once this setup is done, all the examples illustrated in earlier sections would work even if the client machine is inside a corporate firewall. In fact, as we noted earlier, the distinction between client and server machine is artificial. The only requirement is that the machine running the sshd should be outside the firewall, ready to accept connections. Even when all the machines are behind their own firewalls, one could setup a machine connected to the internet, run the sshd on this machine and setup SSH tunnels through this machine to allow seamless execution of distributed programs. The exact confiuration details for such a setup is bit involved and outside the scope of this article. This series of articles illustrated use of SSH tunnels as an effective mechanism for securing RMI based distributed Java applications. Given the complementary nature of these two technologies -- RMI being excellent for building distributed applications but lacking security features and SSH providing security features such as mutual authentication of communicating hosts, confidentiality and integrity of messages, secure firewall traversal and so on -- it is bit surprising that this combination has found very little discussion in the Java related technical literature. Example source files are available in a single downloadable zip file: rmi-ssh-src.zip. Download this file in your working directory and and unzip it. This should create the sub-directory rmi-ssh and place the extracted files and directories there. Run all your commands, including those for compilation and RMI stub generation, from rmi-ssh directory. client\Main.java The client program. Looks up the remote object and invokes the remote method echo(). server\EchoServerIntf.java Java interface for the server program. server\EchoServerImpl1.java An implementation of the remote object that allows any random port to be assigned. server\Main1.java Main program that instantiates server.EchoServerImpl1. server\EchoServerImpl2.java An implementation of the remote object that allows a fixed port to be assigned. server\Main2.java Main program that instantiates server.EchoServerImpl2 with port 9000.
server\EchoServerImpl3.java An implementation of the remote object as an activatable server. server\Main3.java Main program that instantiates server.EchoServerImpl3. The Unified Modeling Language was created in 1996 by fusing the modeling languages of three top OO development methods: the Booch method, OMT -the Object Modeling Technique method, by Jim Rumbaugh et al- and OOSE -the Object-Oriented Software Engineering method, by Ivar Jacobson-. UML has become the de facto standard for specifying, constructing, visualizing, and documenting the artifacts of a software-intensive system. It is used in an increasing number of different domains, some of which are completely unrelated to software engineering. UML is actively promoted by an impressive consortium of worldwide industries and academia and is supported by more than one hundred professional software tools whose primary goal is to facilitate the use of the language. Since 1998, the Unified Modeling Language (UML) conference has gained in popularity and has become an important worldwide event. Every year, several hundreds of top researchers, practitioners and industry leaders from all over the world attend the conference in order to present the results of their research to the community, exchange opinions and advance the standard. Last October (20-24), the International Conference on the Unified Modeling Language (UML) was successfully held in San Francisco where about 300 participants from all over the world met for the sixth time. develop methodologies for building models. improve the Object Constraint Language (OCL). The Meta Object Facility (MOF): Using MDA to manage metadata. The conference also featured fascinating invited talks by Jean B?zivin from the University of Nantes (France), Nicolas Rouquette from NASA?s Jet Propulsion Lab (USA) and Martin Fowler from ThoughtWorks (USA). Jean B?zivin entertained us for about 90 minutes on the "Model Driven Architecture (MDA): From Hype to Hope and Reality". In his talk, Prof. B?zivin argued that future versions of UML should offer support for aspects. Furthermore, he advocated for a much simpler form of the UML specification because developers were not paid for reading, writing or interpreting the specification but for actually developing systems. Nicolas Rouquette made an excellent reality check and tried to show how UML and MDA would help solve numerous problems of integrating heterogeneous architectural styles to build software-intensive systems. Finally, Martin Fowler gave an excellent talk in which he provocatively and intentionally debated on what the whole point of UML was about, what UML really is from his point of view, what it is not, what it should be used for and where the UML community should go to provide better support for developers. The conference had two very entertaining panel discussions. The first one moderated by Marko Boger (from Gentleware) aimed at debating over the new major 2.0 revision of UML that will be released in the first quarter of 2004. The panelists were people directly involved in the revision of the upcoming UML version, UML 2.0. The common consensus in the audience seemed to be that the UML 2.0 contained too many changes, and that practitioners will undoubtedly have a hard time using it. The downside is that the UML specification has doubled in size from about 700 hundred pages to more than 1200 pages that are now split into four documents: the UML 2.0 Infrastructure, the UML 2.0 Superstructure, the UML 2.0 Object Constraint Language (OCL) and the UML 2.0 Diagram Interchange. Cris Kobryn admitted that although UML 2.0 was a big advance, they had gone two steps forward and one backward. Cris further argued that in the future the step backward would slightly disappear, but for now UML 2.0 should be regarded as UML?? until all inconsistencies and issues have been resolved. Near the end of the panel, Stuart Kent from Microsoft Corp. triggered a little discussion about how modeling languages and programming languages are similar or different. In his opinion, a modeling language is a programming language. Others argued that modeling languages still lacked proper execution semantics which make them still different from true programming languages. Mosey on in and pull up a stool. The JavaRanch Big Moose Saloon is the place to get your Java questions answered. Our bartenders keep the peace, and folks are pretty friendly anyways, so don't be shy! Question: The little white lie, is it worth it? Answer:The too-long-for-this-column conversation following this topic opener quickly turned to consider the question of honesty during the job hunt. Head on over to the always hot Jobs Discussion Forum, and get yourself an earful of the good advice from Saloon regulars like Mark Herschberg, Alfred Neumann, John Summers, Frank Carver and others in Tony Collins' "Is it worth it?" thread. Mosey on over to The Cattle Drive Forum in The Big Moose Saloon! Discuss this book review in The Big Moose Saloon! Take a look at other coming book promotions and learn how to win a free book! Comments or suggestions for JavaRanch's Journal can be sent to the Journal Staff. For advertising opportunities contact the Journal Advertising Staff.